One of my favorite pastimes over the summer is having a picnic at the lake. It’s always fun to relax under a tree, catch up with friends on a lazy weekend day and enjoy some picnic food. A picnic basket is always a great addition to such gatherings and why we are going to talk today about how to throw together a simple, yet perfect picnic basket. First things first, you need to know how many people will be at the picnic. This determines how much food and how many drinks you will need. Of course it can be anywhere from 2 to 15 people. Once you have that figured out, you can then focus on the food because after all, it’s the most important part of a picnic. It’s always great to have a few things to nibble on, like a cheese and crackers tray, a few sandwiches, a refreshing beverage and of course dessert. 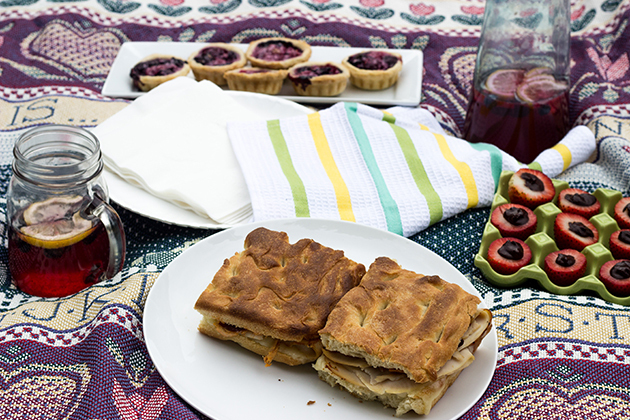 For a recent picnic, I threw together a picnic basket with sandwiches, a cheese plate, fresh sparkling blueberry lemonade and sweet mini berry tarts. Let’s start by making the dessert since you can whip these up a day or two in advance. With a fresh selection of berries from Melissa’s Produce, I was inspired to make a classic mixed berry pie. But pies are just too big to drag along in a picnic basket, so I used my KitchenAid® Nonstick 6-Cavity Mini Pie Pan to make mini tarts instead. These are portable and just as good as a slice of pie. Using the KitchenAid® Pro Line® Series 16-Cup Food Processor, I made a buttery, flaky crust that was then filled with a mix of blackberries, blueberries and raspberries. The fresh juicy berries are macerated in lemon juice and brown sugar. Fill your mini tarts with the berry mixture and bake. Next you need to put together a cheese tray of your favorite cheeses and crackers. I love mixing aged and soft cheese. So think Gouda, Sharp Cheddar, Brie etc. Adding some olives or hummus to the tray is optional. Your creativity is the limit here. Essential to any picnic over the summer is a refreshing beverage. I tend to go for homemade lemonade during these times and with some fresh blueberries from Melissa’s Produce, I was eager to try a variation to this classic drink. Using the KitchenAid® Sparkling Beverage Maker, I added some carbonated water to my blueberry lemonade. And of course you want to make it in a pitcher so there is plenty to go around. Finally, you need a main attraction for your picnic. I love sandwiches, as they are easy to whip up and involve no grilling time. Like this focaccia chipotle sandwich that gets broiled in the KitchenAid® 12″ Convection Digital Countertop Oven right before you head out to your picnic. The combination of a slight spicy tang of chipotle adobo mayo with Swiss cheese, artichokes and turkey makes for a special sandwich. One that’s filling, satisfying and picnic perfect. As you put together your next picnic basket, keep these tips in mind and make sure you include a snack, a light lunch, dessert and a refreshing drink. Hope you find time this summer to throw together a picnic basket and have a beautiful outdoor picnic! Combine all the ingredients except the water in the bowl of your KitcheAid® Pro Line® Series Food Processor. Process a few times until butter is about the size of a pea. 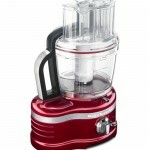 With Food Processor on, slowly drizzle in ice cold water to mixture, one tablespoon at a time, until dough comes together. Remove dough from bowl and pat down into a disc. Wrap in plastic wrap and chill for at least an hour. In a medium bowl, toss berries, vanilla extract and lemon juice. Add in sugar and flour. Gently mix to combine. 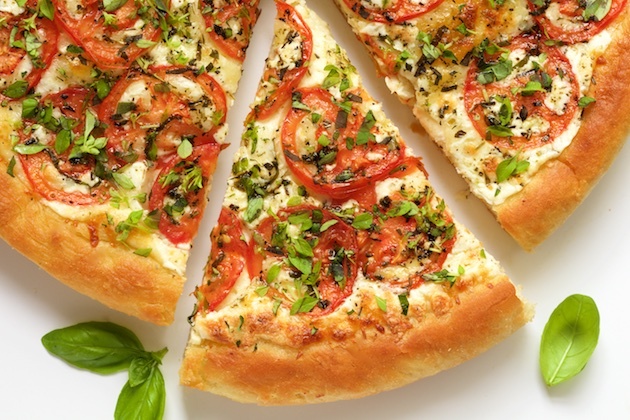 Preheat oven to 400 degrees F. When dough is chilled, roll out onto a lightly floured surface into a 10-inch circle. Use a 4-inch round cutter to cut out 6 rounds. 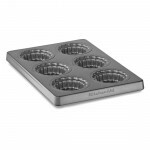 Transfer rounds to a KitchenAid® Nonstick 6-Cavity Mini Pie Pan and fit well by pressing down gently. Fill each mini tart 3/4 of the way with the berry mixture, about 1 tablespoon each. Bake for 20 minutes or until crust is golden and juice from the fruit runs out. Transfer the mini tarts from the tart pan to a wire rack for cooling. Store refrigerated. 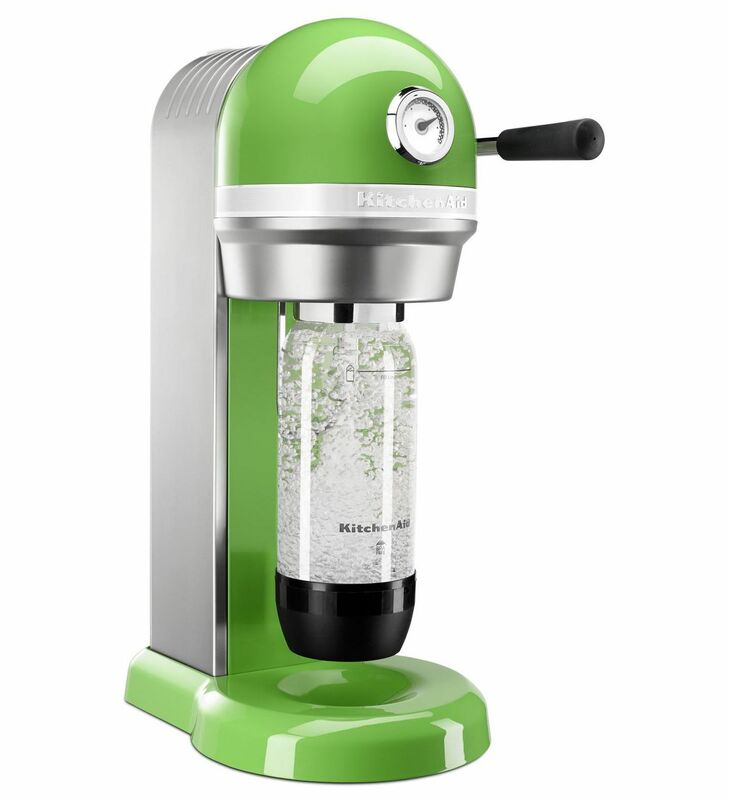 Start by making some sparkling water using the KitchenAid® Sparkling Beverage Maker. Next make the blueberry simple syrup by combining the blueberries, sugar and a cup of water in a small saucepan. Bring to a boil and simmer for 5 minutes until sugar is melted and blueberries are starting to burst. Remove from heat and pass the syrup through a fine sieve. Let syrup cool before using. In a large pitcher, mix the blueberry syrup (to taste) with the fresh lemon juice and liquid sweetener. Add in ice, fresh blueberries and lemon wedges. Top off with sparkling water and mix to combine. Enjoy immediately! 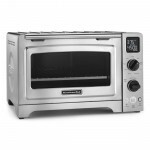 Preheat to broil on your KitchenAid®12″ Convection Digital Countertop Oven. In a small bowl, combine half of chipotle peppers and mayo. Mix well. Season with salt and pepper to taste. 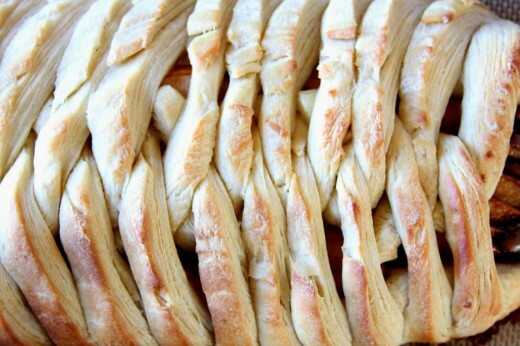 Slice the focaccia bread and spread about a tablespoon of the chipotle mayo on the bread. 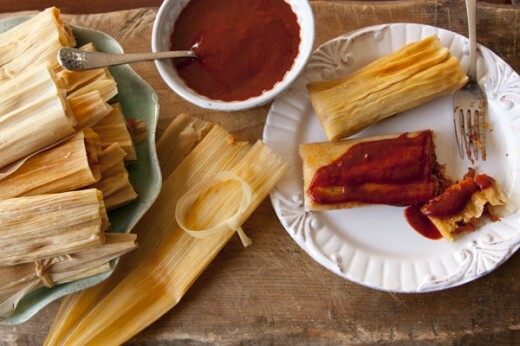 Layer with artichoke hearts and remaining chipotle peppers. Top with turkey slices and finally cheese slices. Place sandwiches, open, on a tray and broil for about 3-5 minutes until cheese starts to melt. Remove from oven and close sandwiches. Enjoy while warm.